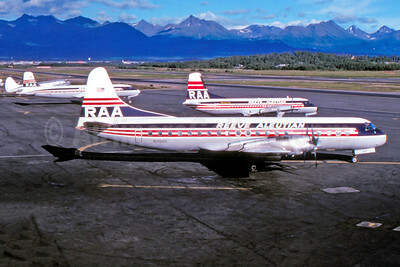 (RV/RVV) (Anchorage) 1932 - 2000. Photos. Framable Color Prints and Posters. Digital Sharp Images. Aviation Gifts. Slide Shows. 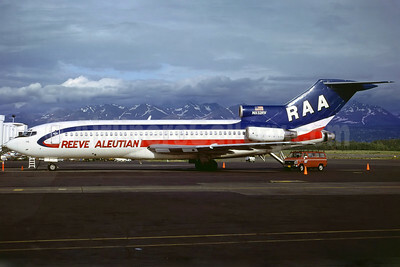 Reeve Aleutian Airways-RAA Boeing 727-22C N832RV (msn 19098) ANC (Christian Volpati Collection). Image: 931343. 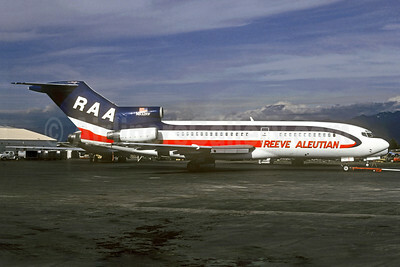 Reeve Aleutian Airways-RAA Boeing 727-22C N832RV (msn 19098) ANC (Perry Hoppe). Image: 910917. 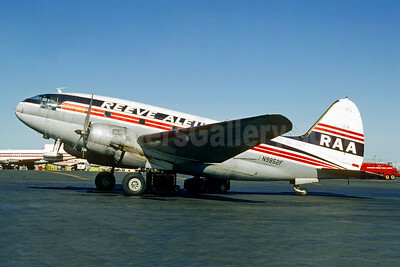 Reeve Aleutian Airways-RAA Curtiss C-46A-35-CU Commando N9852F (msn 26792) ANC (Jacques Guillem Collection). Image: 920905. Reeve Aleutian Airways-RAA Douglas C-47-DL (DC-3) N19906 (msn 4747) ANC (Bruce Drum). Image: 102331. 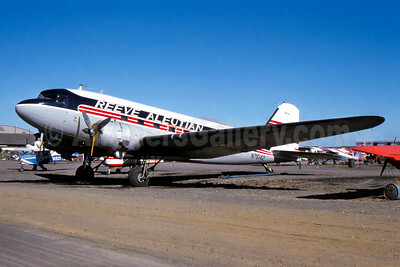 Reeve Aleutian Airways-RAA Douglas C-47A-DL (DC-3) N75142 (msn 9173) ANC (John B. Hayes). Image: 942591. 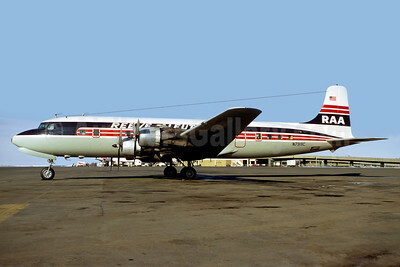 Reeve Aleutian Airways-RAA Douglas DC-6B N7919C (msn 43554) (Christian Volpati Collection). Image: 910916. 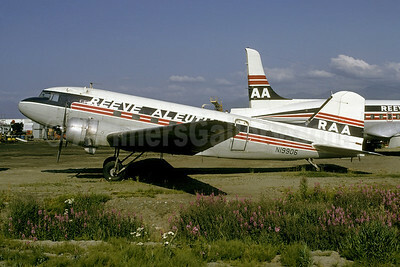 Reeve Aleutian Airways-RAA Lockheed 188C Electra N1968R (msn 2007) ANC (John B. Hayes). Image: 942592. 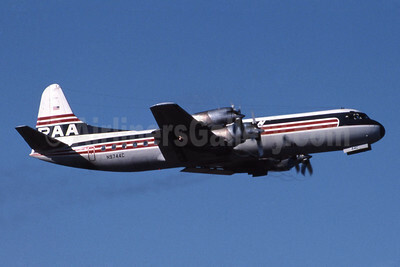 Reeve Aleutian Airways-RAA Lockheed 188C Electra N1968R (msn 2007) SEA (Bruce Drum). Image: 102333. 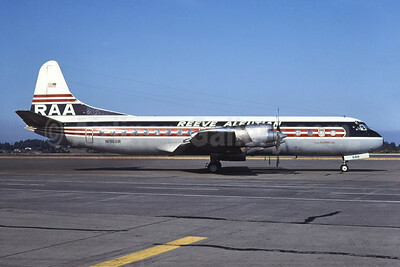 Reeve Aleutian Airways-RAA Lockheed 188PF Electra N9744C (msn 1140) ANC (Jay Selman). Image: 400197. 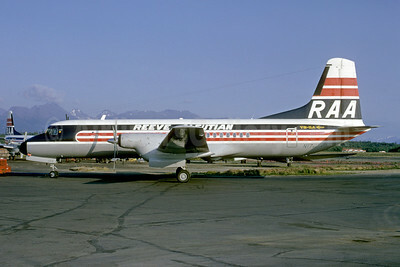 Reeve Aleutian Airways-RAA NAMC YS-11A-623 N172RV (msn 2172) ANC (Bruce Drum). Image: 102332.